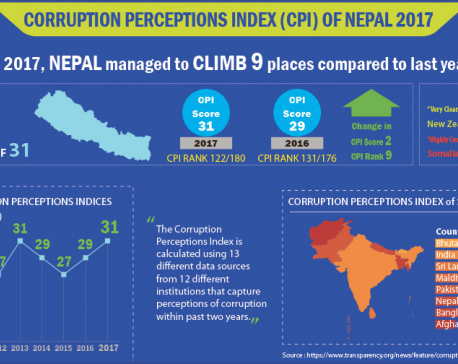 KATHMANDU, Jan 3: Transparency International Nepal has criticized the government’s silence toward the growing trend of institutionalization of corruption in public institutions. Issuing a statement on Tuesday, the Nepal branch of the global coalition against corruption has demanded action against corruption of massive scale in public institutions. 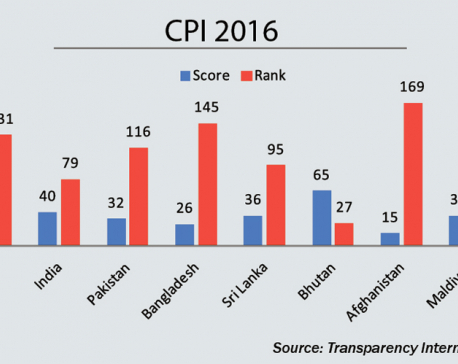 Transparency International Nepal was referring to news reports related to corruption including ‘Contractors, suppliers paid Rs 20 billion in bribes last year’ published in Republica daily dated December 26. The tendency of giving a minimum commission of 10 percent of development budget spent every, or Rs 20 billion in the last fiscal year, must be seriously investigated, the statement issued by Transparency International Chairperson Shree Hari Aryal. “The government’s silence on the massive exposure of corruption by media through investigative stories and also the indifference of political parties and anti-graft bodies in these issues are a matter of great surprises for us. And to make the matter worse, the informants fear retribution to speak against these issues,” the statement added. 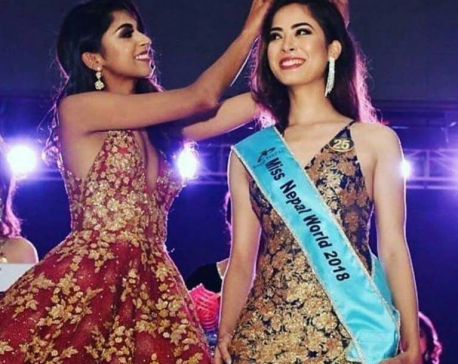 Transparency International Nepal has also drawn the attention of the government toward corruption perpetrated by officials of the Office of the Transport Management while distributing taxi plates to quake victims. The officials allegedly pocketed Rs 75 million while awarding taxi numbers to quake survivors.